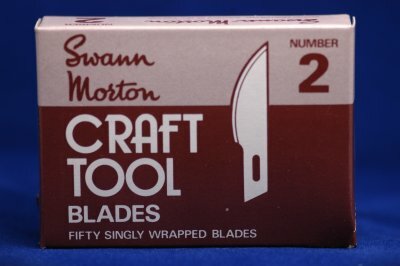 Stainless Steel Craft Tool Handle Swann Morton Product No 1239 Replaces 1237 Brass Handle. We are pleased to announce the new Swann Morton “Stainless Steel Craft Tool Handle”, combining durability with ergonomic design and incorporating a trade mark “ring pattern” finger grip are now in stock. Compatible with our original craft tool blades 1, 2 and 3 they should provide the user with many hours of crafting pleasure.